If I’m wrong, help me understand why. Seriously. Over the last 2 days, I’ve twice supported, on this blog, a very unpopular view. 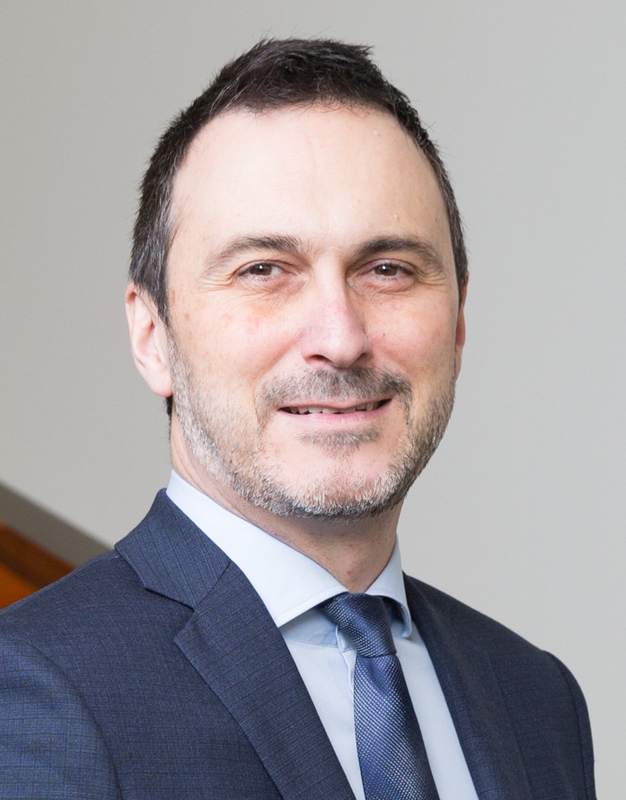 I’ve argued that, ethically, AIG is right to honour its legal obligation to pay $165 million in retention bonuses. I’ve defended that view on two entirely separate grounds. Next, I argued that violating the contracts (by not making the payments) would be wrong because it could have disastrous effects. Namely, it would make it harder for AIG to attract and retain talent, and generally make it hard for AIG to make promises credibly. So, I gave two very different reasons: one based on bad consequences, one based on rights and duties. Both arguments point in the same direction. Lots of people offered counter arguments. “They’re all crooks.” “Why reward poor managers?” “Contracts are broken all the time.” “It’s symbolic.” Etc. I didn’t find any convincing. Two things come to mind. If you could show me either, it would weaken my support for the retention payments. If you could show me both, I guarantee I’d change my conclusion. 1) Show me that the individuals receiving the payments are culpable. (Culpability on its own doesn’t obviate one’s rights, but at least then you could make an argument that these payments are analogous to the “proceeds of crime.”) If only some of them are culpable, tell me why it’s fair to punish the innocent, along with the guilty. 2) Show me that failing to meet this contractual obligation would not hobble AIG, arguably the most important corporation in America. I’d like some evidence (not just conjecture) that a) there are qualified people (ones who won’t demand retention bonuses!) ready to step in at AIG and replace those who leave, and that b) AIG’s ability to make credible promises won’t seriously be shaken. « What Should AIG’s Liddy Do? 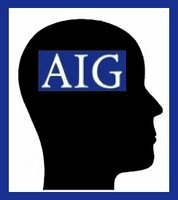 I don’t know if anyone mentioned this, but what if the gov’t did NOT come in a bail out AIG and it went into bankruptcy? Wouldn’t those contracts then be null and void or wouldn’t the beneficiaries have to settle for cents on the dollar like all other creditors?If contracts can be voided in one situation, why not the other (the one we are in now)? AIG renegotiated many of the contracts in question, including those of 7 of their top employees back in November. Many of the employees decided to forgo their yearly salary in lieu of bonuses, because they knew their bonuses would be much higher than the salary, all the while giving the appearance of being conservative and responsible. The whole idea that these contracts were somehow unalterable is a falsehood, straight up. I understand AIGs need to retain employees that know what they’re doing. The problem is the 450 employees in the CDS/derivatives division completely, utterly, and without a doubt destroyed their company’s fiscal viability, and now the taxpayers are expected to foot the bill to retain them? Because they’re the industry’s top talent? If that’s true, I’d hate to see who the bottom-tier talent is!The entire economic crisis has led to a giant cash-grab by well-connected corporate players and their underlings (see TARP funds used for M+A deals). These people are getting very, very rich for ruining a big chunk of the economy. I don’t fault AIG for trying to remain competitive as far as employees go, but the idea that these employees in question deserve the payments is laughable. (1) Can’t offer anything there, except the counter Q: “Why is culpability the crux of your moral analysis?? ?” (2) Why should a moral evaluation be based primarily on the answer to “what is best for AIG?” Why should we disregard “what is best for the US taxpayer?” or “what is best for Congress and the current US Administration?” If OVERALL social good is maximized by considering all stakeholders (not only AIG “talent”), then go with a solution that will clearly harm all that “talent.” I didn’t know consequentialism has to be applied to firm-level analysis / managerial perspective only. But of course business managers (e.g., Ford Pinto) and their apologists think consequential analysis uses a cost-benefit analysis only applicable to *them* (that’s why they keep all their jets – e.g., “why consider future generations affected by climate change?”). Silly! Do you have a copy of the contract which binds AIG to the bonus recipients? Wow, lots of “Anonymous,” here. I’ll try to respond to all of you.1) What happens under bankruptcy law is a specific provision of bankruptcy law. Breaking <>these<> contracts would be ad hoc.2) I don’t know if the contracts are alterable or not; Justice Department lawyers say no. My point is that even if they can be, they shouldn’t be.3) “the 450 employees in the CDS/derivatives division”… Which ones? All of them? Equally?4) Why is culpability the crux of my moral analysis? Because punishing innocent people — if they’re innocent — would be wrong.5) The utilitarian part of my analysis isn’t based on what’s best for AIG for AIG’s stake. The American public now has a huge stake in the company’s success. If AIG fails, US citizens suffer. At least that’s my understanding of the reason for the bailout.Chris. Colleen:The only source I know of that has provided the AIG contract is, unfortunately, Fox News.Here’s the link:http://www.foxbusiness.com/story/markets/aig-hand-m-bonuses/Scroll down to where it says “READ AIG Financial Products’ Employee Retention Plan”Chris. Chris, have you read this opinion: http://blogs.law.harvard.edu/philg/2009/03/18/fire-the-aig-management/ ? Adnan:Thanks for the link.Greenspun’s very first sentence is incorrect. These are not performance bonuses, they’re <>retention<> bonuses. He corrects himself later in the piece, but still pretty misleading. Anyway.Greenspun goes some distance towards satisfying my 2nd criterion (i.e., my request for someone to demonstrate that not paying would produce better outcomes than paying). But he still only offers conjecture. He could be right. I just don’t know.Chris. Today (Wednesday March 18) the news is reporting that the bonuses are “retention” bonuses and some are being paid to people who left the company!If the reports are correct, the only reason to pay these particular bonuses is if AIG intends to excise their option to retain these particular employees. The only contractual recourse the employee has is to not stay with the company. Chris- thanks for the link. time allowing I’ll check out the contract. Purpose of the question was to make a correlation between the retention bonus agreement and standard performance agreement. My guess is that performance plans (which include legitimately meeting revenue, profitability, and market share growth) were not meet. If 2008 performance metrics were meet, than the issue is issue that is more egregious, if not sinister: a non-compliant board and possible gov’t collusion. Hey, wait, no matter what, there is a non-compliant board. The basic fiduciary responsibilities to shareholders, clients, and employees were not upheld. If for some odd reason targets were met, the retention bonuses are still off the table. Why? Contracts are regularly renegotiateddue to significant changes in market conditions. In fact, the rank & file @ AIG did not receive a 2008 annual perf bonuses. Thus, if we filter the AIG scenario thru an ethical framework (rules, purpose and ethos) there are raging inconsistencies. Final point- AIG won’t attract and retain the best & brightest? Who’s in the talent pool? Ex-Enron execs? Advance apologies for lack of clarity in this argument- I’m in a bit of a dash. Generally, I agree, so no fodder for a rebuttal here.Most of the outrage and anger expressed with regard to retention bonuses seems to be in response to perceived unfairness, i.e. incompetent AIG employees rewarded for failure while Joe Average loses his job and can’t pay his mortgage. Setting emotional issues aside, the question is really whether we (or the government) want AIG to continue as a viable enterprise. Clearly, the treasury has voted ‘yes’, evidenced by the bailout. The media, most commentators, and many Congressmen seem to be voting ‘no’.Your point re who would want to work at AIG is valid. I certainly wouldn’t! Ok. Here we go. The 400+ unit at AIG was called AIGFP (financial products) and was headed by one Joseph Cassano. Guess where Cassano learned his tricks of the trade? Working under Mike Milken in his junk bond factory in the 1980’s. Cassano also pioneered the creation of the giant CDS monster that is wrecking balance sheets across the world.It’s hilarious to me now, that the same conservatives who are trashing FDR in print for “extending the depression,” through the New Deal, are trying to paint Milken as some kind of free-enterprise hero. I’m sure Cassano won’t be far behind. I think the problem here, is we’re looking at this entire situation in terms of whether individual actions are ethical or unethical, while completely ignoring the networks of corporate goons who sit on each other’s boards of directors, float between the public, private, and lobbying sectors as dictated by the federal administration, and clearly look for any loophole to escape real accounting standards or other accountability. The actions of people like Cassano and Milken definitively show that there is a class of Americans who believe that anything they do to get themselves as rich as possible is moral, and that they have no responsibilities to their employees, country, or the populace at large. These people are all connected. Best friends, even. To argue the ethics of their individual actions misses the forest for the trees. Just my 2 cents. There are several fundamental problems with the AIG bailout that should bother a business ethicist, including:1. AIG, and in particular AIG Financial Products, had a history of ethical and legal problems, including material misstatements and even being charged with selling products that helped other companies overstate assets. See the December 2008 article available (free) at http://www.imanet.org/about_ethics_articles.asp. Why US taxpayers gave this company $170B without demanding cultural changes and ethics and compliance is itself troubling.2. US taxpayers were told the financial bailout was necessary to save the credit markets. It is unclear how $165M in bonuses would accomplish this goal. And please don’t argue it was “different money.” Money is fungible. If we could have saved AIG while giving it $165M less, we should have.3. US taxpayers have been led to believe AIG needed $170B to survive. Now we learn that they apparently had $165M extra to pay bonuses (if we ignore billions paid to foreign banks and others, as well as all the AIG bonuses that went to employees in other divisions than AIG FP), and Treasury Secretary Geithner is saying the Treasury Department will deduct the $165M from the next bailout payment. $165M is not a rounding error. If this amount can be diverted from freeing the credit markets, or deducted from the next “necessary” payment, how much are all these bailout payments inflated? And why are our leaders not trying to figure out what amount is really required, instead of just throwing money at — or near — the problems?4. As previously noted, the bonuses should not be called “retention” bonuses. According to NY AG Cuomo, 11 of the 73 persons receiving $1 million or more are no longer with AIG. Apparently about $33M went to 52 employees no longer at the firm.5. What bothers me most is that this and other money is being used without any evaluation of what would be the best use. If we just need to throw money at the economy to help it recover, wouldn’t we rather provide $165M in funding for greater benefits (health care, housing, education) for a group in need and/or deserving, such as veterans, the poor, the homeless, gifted medical or science students, victims of disaster, etc.? AIG executives and Wall Street bankers would likely be very low on our list of people to help.For years, Americans have been told we cannot afford the admittedly huge sums that would be necessary to solve major societal problems. Now we are learning that we can, however, afford huge sums to prop up, and pay bonuses and other questionable expenses, to people who themselves often made huge sums including by mislabeling and reselling questionable investments. Someone is and has been selling us a bill of goods. And often the money — our tax money — seems to be finding its way to their friends (e.g. Paulson’s gang from Goldman) and donors (e.g. Dodd’s friends at AIG). We have not called anyone on the carpet for it. Shame on us.Note that in this post I name problems on both sides of the aisle. This is not a Democrat or Republican problem. Both sides have been and continue to fail us at this critical time.P.S. If you have never read Paulson’s original bailout bill, you need to. It is available through the NY Times website, and is frightening in that it gave Paulson huge amounts of money with absolutely no guidance, guidelines, review or oversight. Fair to look at what percentage of AIG is actually american owned. AIG did originate in the US however a deeper inspection may find it is no longer a US company. However the US taxpayer may be expected to prop it up.The contracts are just that contracts. They are open to a legal review. In any instance where a company can no longer afford to honor its contracts it becomes a matter for the courts. That is normal practice.Morally there probably remain questions about the leadership decision to pay contracts in the current circumstances, the potential poor reporting of how much had been paid (I sense there will be more disclosure about that), and the fact that retention payments/bonuses were paid to employees that had already left. I believe that the bonuses are in very poor taste but I also believe that the company has the responsibility to pay according to their own contracts.On the more business side of this I feel that someone at AIG should have seen this media storm coming and brought ideas to avoid it, even if that meant people voluntarily giving up their bonuses. Ethically they had to pay up, but bad PR is bad for business. After all it is still a business. Thank you Chris for these very important insights. Though I can’t offer any evidence of that which might change your mind, I do wonder how you integrate government aid (AIG, I believe, is a TARP recipient.) into your analysis. Does that not affect somewhat the extent to which AIG should, or can, honour its contractual obligations? Anonymous:It’s not obvious that receiving bailout money changes things much.1) Receiving bailout money doesn’t generally relieve a company of its legal obligations. I suppose you could say that receiving bailout money is a sign of an exceptional circumstance, which would warrant re-opening negotiations on the retention payments. But I’m not sure bailout money makes it any more fair to penalize people who — as far as I’ve seen proven — have done nothing wrong. (As I’ve said before, <>some<> of the people receiving payments might be unworthy, but I doubt all of them are. )2) The huge amount of bailout money signals that AIG is important. Really important. Anything that reduces its viability as a company is a bad thing.Chris. Wouldn’t it have been better if President Obama said to the AIG employees, “You have every right to these bonuses, but for the good of the country and the good of AIG, we ask that you return your bonuses.”I bet that we would have seen a good portion of them give the money back. This is a win for everyone. The contracts are honored. The money is back. The employees look honorable. And Congress didn’t need to get involved. Isn’t it better to try to inspire someone to do the right thing rather than coerce them. Andrew:Maybe, but why pick on <>them<>? Why not ask other Americans (or maybe just other Americans at the same socio-economic level) to chip in, too? If these AIG employees did nothing wrong (and I don’t see any evidence that any of them, specifically, are guilty of anything), why should they alone be penalized?Chris. AIG re paid the “bailout” to the US government with a 26 billion dollar profit. Standard and poors and Moody rated the mortgate investments as AAA which is highest quality. AIG Reinsured the risk for the banks who then needed to be bailed out when the mortgage industry fell. The banks then decided not to assist. If AIG had not been “bailed” out, it would have toppled so many industry and turned the stock market into a depression like status. Employees who were hired with bonus structures are contracts. The fact that AIG is being held to the same standard as Enron and Arthur Anderson is ludicrous. They purposely made fake accounts to hide debt, lid to employees and then tried to cover up their tracks after making huge profits even after the new CEO was aware. It is not comparable or even the same thing. Read up people. YOU are being unethical by not knowing the facts or bothering to find out the truth.